Appreciate how cultural, economic, legal, and political differences between countries create challenges to successful business dealings. In the classic movie The Wizard of Oz, a magically misplaced Midwest farm girl takes a moment to survey the bizarre landscape of Oz and then comments to her little dog, “I don’t think we’re in Kansas anymore, Toto.” That sentiment probably echoes the reaction of many businesspeople who find themselves in the midst of international ventures for the first time. The differences between the foreign landscape and the one with which they’re familiar are often huge and multifaceted. Some are quite obvious, such as differences in language, currency, and everyday habits (say, using chopsticks instead of silverware). But others are subtle, complex, and sometimes even hidden. Success in international business means understanding a wide range of cultural, economic, legal, and political differences between countries. Let’s look at some of the more important of these differences. Even when two people from the same country communicate, there’s always a possibility of misunderstanding. When people from different countries get together, that possibility increases substantially. Differences in communication styles reflect differences in culture: the system of shared beliefs, values, customs, and behaviors that govern the interactions of members of a society. Cultural differences create challenges to successful international business dealings. We explain a few of these challenges in the following sections. English is the international language of business. The natives of such European countries as France and Spain certainly take pride in their own languages and cultures, but nevertheless English is the business language of the European Community. Whereas only a few educated Europeans have studied Italian or Norwegian, most have studied English. Similarly, on the South Asian subcontinent, where hundreds of local languages and dialects are spoken, English is the official language. In most corners of the world, English-only speakers—such as most Americans—have no problem finding competent translators and interpreters. So why is language an issue for English speakers doing business in the global marketplace? A German chocolate product called “Zit” didn’t sell well in the United States. A proposed new soap called “Dainty” in English came out as “aloof” in Flemish (Belgium), “dimwitted” in Farsi (Iran), and “crazy person” in Korea; the product was shelved. A U.S. appliance ad fizzled in the Middle East because it showed a well-stocked refrigerator featuring a large ham, thus offending the sensibilities of Muslim consumers, who don’t eat pork. 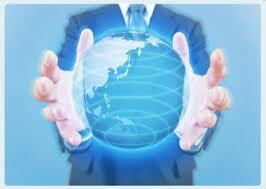 Furthermore, relying on translators and interpreters puts you as an international businessperson at a disadvantage. You’re privy only to interpretations of the messages that you’re getting, and this handicap can result in a real competitive problem. Maybe you’ll misread the subtler intentions of the person with whom you’re trying to conduct business. The best way to combat this problem is to study foreign languages. Most people appreciate some effort to communicate in their local language, even on the most basic level. They even appreciate mistakes you make resulting from a desire to demonstrate your genuine interest in the language of your counterparts in foreign countries. The same principle goes doubly when you’re introducing yourself to non-English speakers in the United States. Few things work faster to encourage a friendly atmosphere than a native speaker’s willingness to greet a foreign guest in the guest’s native language. Americans take for granted many of the cultural aspects of our business practices. Most of our meetings, for instance, focus on business issues, and we tend to start and end our meetings on schedule. These habits stem from a broader cultural preference: we don’t like to waste time. (It was an American, Benjamin Franklin, who coined the phrase “Time is Money.”) This preference, however, is by no means universal. The expectation that meetings will start on time and adhere to precise agendas is common in parts of Europe (especially the Germanic countries), as well as in the United States, but elsewhere—say, in Latin America and the Middle East—people are often late to meetings. Likewise, don’t expect businesspeople from these regions—or businesspeople from most of Mediterranean Europe, for that matter—to “get down to business” as soon as a meeting has started. They’ll probably ask about your health and that of your family, inquire whether you’re enjoying your visit to their country, suggest local foods, and generally appear to be avoiding serious discussion at all costs. For Americans, such topics are conducive to nothing but idle chitchat, but in certain cultures, getting started this way is a matter of simple politeness and hospitality. If you ever find yourself in such a situation, the best advice is to go with the flow and be receptive to cultural nuances. In high-context cultures, the numerous interlocking (and often unstated) personal and family connections that hold people together have an effect on almost all interactions. Because people’s personal lives overlap with their business lives (and vice versa), it’s important to get to know your potential business partners as human beings and individuals. By contrast, in low-context cultures, such as those of the United States, Germany, Switzerland, and the Scandinavian countries, personal and work relationships are more compartmentalized: you don’t necessarily need to know much about the personal context of a person’s life to deal with him or her in the business arena. Different cultures have different communication styles—a fact that can take some getting used to. For example, degrees of animation in expression can vary from culture to culture. Southern Europeans and Middle Easterners are quite animated, favoring expressive body language along with hand gestures and raised voices. Northern Europeans are far more reserved. The English, for example, are famous for their understated style and the Germans for their formality in most business settings. In addition, the distance at which one feels comfortable when talking with someone varies by culture. People from the Middle East like to converse from a distance of a foot or less, while Americans prefer more personal space. Finally, while people in some cultures prefer to deliver direct, clear messages, others use language that’s subtler or more indirect. North Americans and most Northern Europeans fall into the former category and many Asians into the latter. But even within these categories, there are differences. Though typically polite, Chinese and Koreans are extremely direct in expression, while Japanese are indirect. This example brings up two important points. First, avoid lumping loosely related cultures together. We sometimes talk, for example, about “Asian culture,” but such broad categories as “Asian” are usually oversimplifications. Japanese culture is different from Korean, which is different from Chinese. Second, never assume that two people from the same culture will always act in a similar manner. Not all Latin Americans are casual about meeting times, not all Italians use animated body language, and not all Germans are formal. In summary, learn about a country’s culture and use your knowledge to help improve the quality of your business dealings. Learn to value the subtle differences among cultures, but don’t allow cultural stereotypes to dictate how you interact with people from any culture. Treat each person as an individual and spend time getting to know what he or she is about. If you plan to do business in a foreign country, you need to know its level of economic development. You also should be aware of factors influencing the value of its currency and the impact that changes in that value will have on your profits. If you don’t understand a nation’s level of economic development, you’ll have trouble answering some basic questions, such as, Will consumers in this country be able to afford the product I want to sell? How many units can I expect to sell? Will it be possible to make a reasonable profit? A country’s level of economic development is related to its standard of living, which can be evaluated using an economic indicator called gross national income (GNI) per capita. To calculate GNI per capita, we divide the value of all goods and services produced in a country (its GNI) by its average population, to arrive at an estimate of each citizen’s share of national income. A large portion of the world’s wealth remains concentrated in just a few areas. Remember, however, that even though a country has a low GNI per capita, it can still be an attractive place for doing business. India, for example, is a lower-middle-income country, yet it has a population of a billion, and a segment of that population is well educated—an appealing feature for many business initiatives. If every nation used the same currency, international trade would be a lot easier. Unfortunately, this is not the case. Let’s say that your business is importing watches from Switzerland. Because the watchmaker will want to be paid in Swiss francs, you have to figure out how many U.S. dollars you’ll need to buy the francs with which to pay the watchmaker. You’d start by finding out the exchange rate between the Swiss franc and the U.S. dollar. The exchange rate tells you how much one currency is worth relative to another currency. So you need to know the value of the Swiss franc relative to the U.S. dollar. You could simply look in a newspaper or go to any number of Web sites—say, http://www.oanda.com. Remember, however, that the exchange rate changes frequently. To keep things simple, let’s assume that the exchange rate is 1 Swiss franc = $0.81 U.S. (that is, 1 Swiss franc is worth $0.81). Let’s also assume that you owe the Swiss watchmaker 1,000 francs. Doing some quick math, you figure that it will take $810 to buy 1,000 francs (1,000 francs × the exchange rate of $0.81 = $810). • If a foreign currency goes up relative to the U.S. dollar, Americans must pay more for goods and services purchased from sellers in the country issuing the currency (foreign products are more expensive). • If a foreign currency goes down relative to the U.S. dollar, Americans pay less for products from the country issuing the currency (foreign products are cheaper). • If the U.S. dollar goes up relative to a foreign currency, foreign buyers must pay more for American goods and services (they become more expensive). • If the U.S. dollar goes down relative to a foreign currency, foreign buyers pay less for American products (they become cheaper).